Lower Back Pain is a pain or discomfort experienced in the lower part of the spine, known as lumbar spine. The pain may further move to the back of thighs and sometimes into the legs or feet. This can cause problem in walking around or standing up straight. 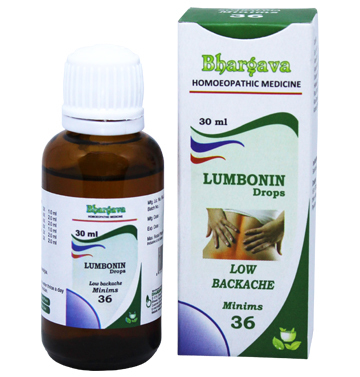 Homeopathy has the best treatment for Lower Backpain and Doctor Bhargava formulations are a result of techniques perfected over 100 years of practice. Some other complication include: numbness, weakness and trouble in sleeping. 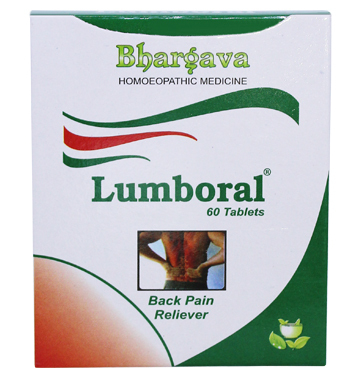 If you are looking for the best Homeopathic Medicine for Lower Backpain then Doctor Bhargava natural remedy provide you the best solution. Back pain will not just leave you in pain but it will also affect your daily activities. In extreme cases the person can be totally bed ridden. It is therefore of utmost importance that you opt for an effective treatment in homeopathy. There can be a number of reasons that can result in back pain. Irrespective of the reasons you need to understand one thing that this condition can leave you in tears. If you do not want this to happen then you must treat the condition with a good medication. Severe pain in the back which can radiate to the extremities as well is the major symptom of back pain. Wondering what are the causes of back pain? Too much stress and strain can result in back pain. Sometimes it can be as a result of an accident or even an injury too.